carbonaramara: Who are the people in your neighborhood? Let me introduce you to 3 (4?) in our current one. Vending machines on every other street corner are a very common sight in Japan. I actually don't know who this is. The neighborhood spray-er, perhaps? 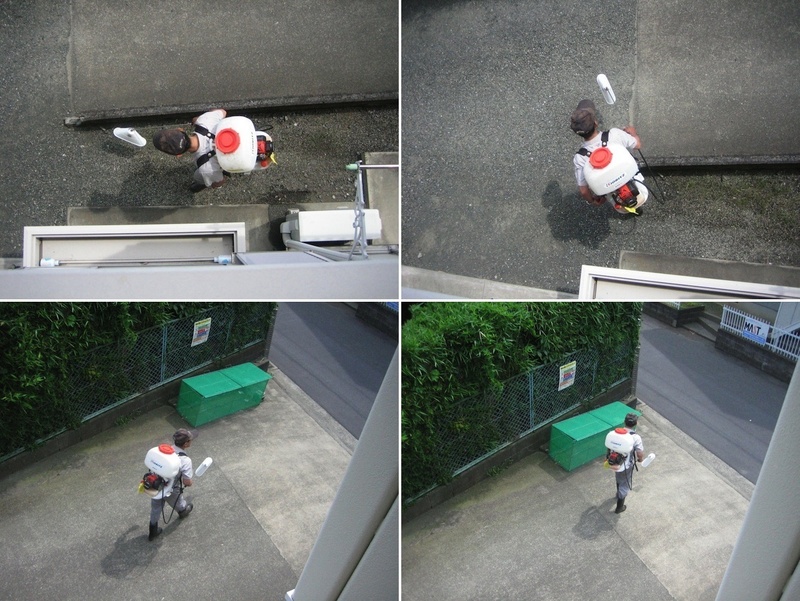 Caught this guy walking around the apartment compound one afternoon, spraying some stuff on the ground using his backpack sprayer contraption thing. Maybe pest control? These guys are our Thursday garbage collectors. (Took these photos of them just earlier today!) We segregate our garbage here and each type of trash has a designated day of disposal. Today, Thursday, it's cans, PET containers, glass and metals. 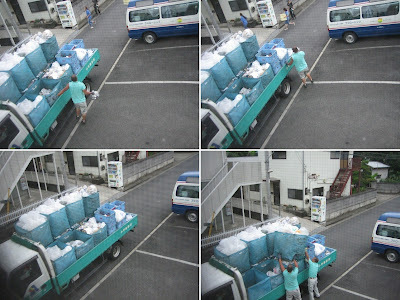 The collecting truck is different each day, depending on what kind of garbage is for collection, though I don't think the guys are the same ones who come to get the garbage every day. New marine species have been found in the Philippines! Read more about it here. Cool photos! A chocolate printer now exists! News on lower priced IKEA items!